This product replaces item# 5250-19-100. E-Zee Heat Seal 5256 5 mil. 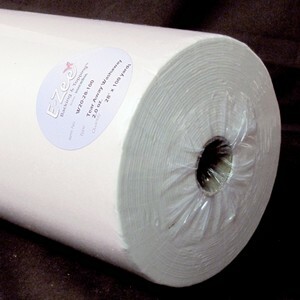 is a polyester heat seal with heat-activated adhesives on both sides. A special release paper is on one side to allow for pressing. It may be used alone or in conjunction with Heat Laminate 3218 to produce permanent seals on patches and appliqués. An economical patch can be created by using 3218 as a stiffener before embroidering and then adding the 5250 as a final coat. It adheres well to cotton, poly/cotton and other blended fabric substrates. Made of polyester. Note: ALWAYS test at lowest temperature and time first.